Oh dear oh dear !,... 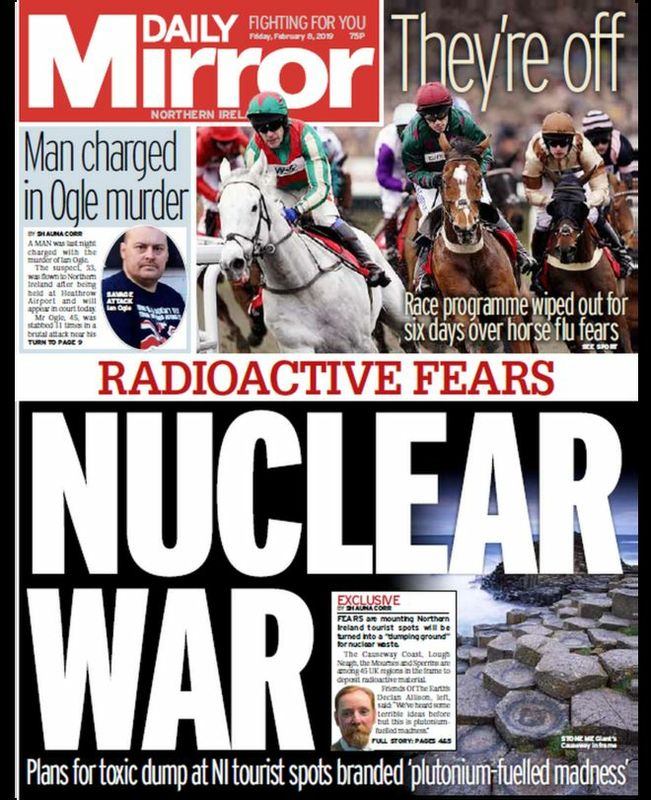 so Ulster isn't going to be a nuclear waste dump ! MORE fallout from the deliberate wrecking of Stormont,... now just imagine how much money the DUP could have extracted from the British government for helping them to impose this scheme on Ulster. 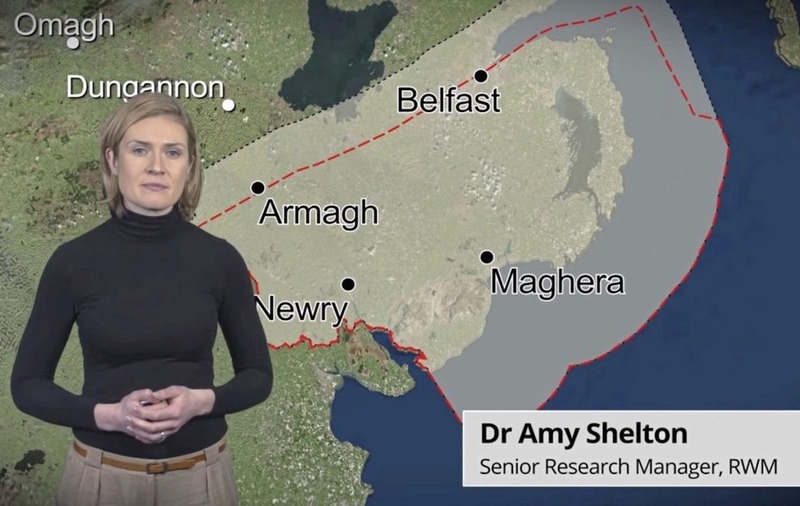 "Amy Shelton of Radioactive Waste Management outlines the geological conditions that make certain areas potentially suitable for the disposal of radioactive waste"
Perhaps the DUP really have got something right at last, even if they might not have been aware of it. THE British government-owned company tasked with finding sites for disposing of radioactive waste has said it cannot progress any plans for a nuclear dump in Northern Ireland while Stormont is suspended. Radioactive Waste Management (RWM) said the north is the "region least likely" to house a nuclear waste disposal facility because the project requires the approval of the devolved administration, as well as those living near a potential site. Concern about the company's plans was triggered by an online video showing prospective locations for a nuclear dump. The video shows Amy Shelton, a senior research manager with RWM, outlining the geological conditions that make certain areas suitable for the disposal of radioactive waste. The presentation, which divides the north into four geological areas – or subregions – is similar to corresponding videos produced by RWM that cover England and Wales. Scotland does not feature as its devolved government adopted a policy of 'near surface disposal', according to RWM. The video sparked a response from political representatives in south Down after the granite-rich area around Newry was earmarked by Ms Shelton as a potential location for a "geological disposal facility". She said more work was needed to establish whether conditions are suitable. But Sinn Féin MP Chris Hazzard said any proposal to locate a site in parts of Co Down and Co Armagh was "totally unacceptable". “Britain cannot use the north as a dumping ground for this hazardous and toxic material – not only would this have dire consequences for our environment but it would also pose a serious health risk to the population," he said. SDLP MLA Colin McGrath said the proposal outlined in the video "beggars belief". "Our areas of outstanding natural beauty and of significant environmental importance cannot become dumping grounds for British nuclear waste," he said. "We have been subjected to years of abnormal radioactive levels given our proximity to Sellafield and this news that government agencies have been poking around our Areas of Outstanding Natural Beauty to find holes for nuclear waste is beyond comprehension." A spokesman for RWM said the disposal of radioactive waste is a devolved matter and that "no host site for a geological disposal facility has been identified and no region is being targeted over another". 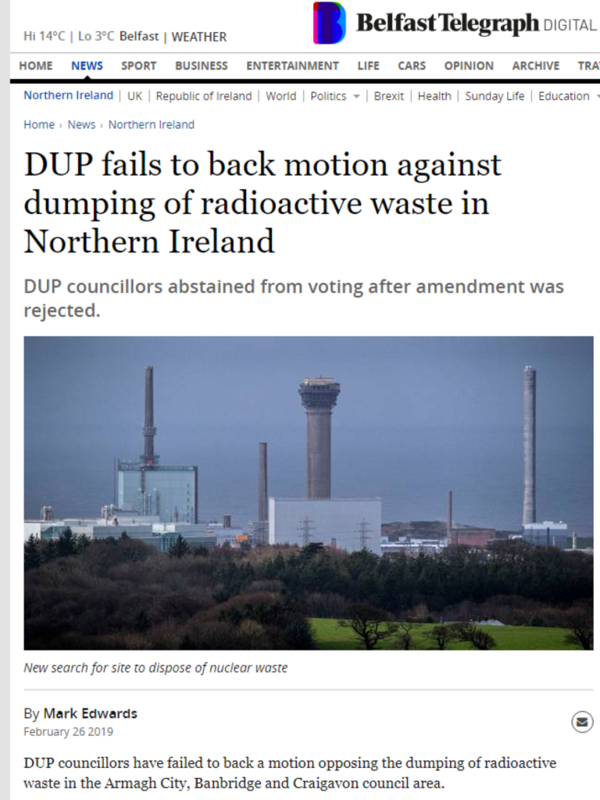 "In the continued absence of the executive, no further commitments regarding the disposal of radioactive waste in Northern Ireland – including Newry – can be given," the spokesman said. "Accordingly, we can confirm that for the time being at least we will not pursue a siting process in Northern Ireland." The RWM spokesman said that in addition to suitable geological conditions, the "consent of a willing community" was required. "Without these two things we cannot go ahead and build the facility," he said. Re: Oh dear oh dear !,... so Ulster isn't going to be a nuclear waste dump ! "The UK Government are investigating the suitability of Newry and surrounding area of Mourne Mountains and Slieve Gullion as a potential venue for the storage of radioactive waste. 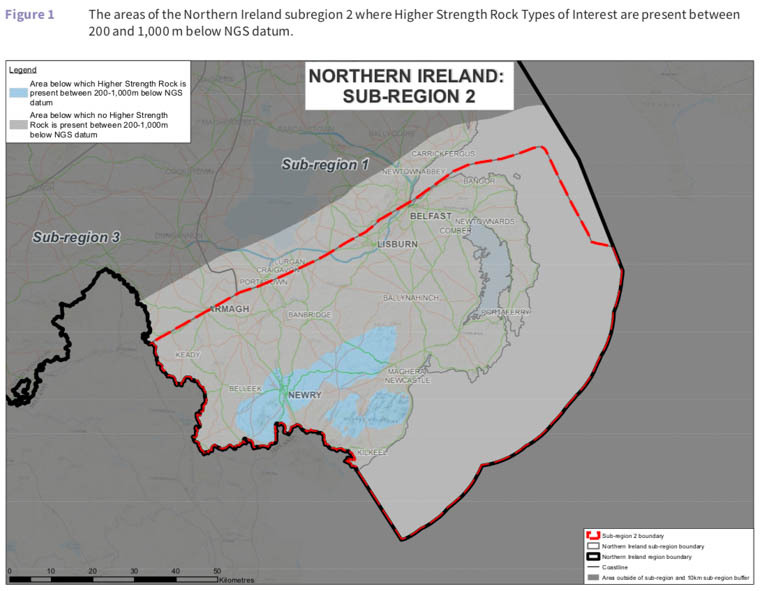 It's one of four sub-regions in Northern Ireland that have been deemed potentially suitable for a Geological Disposal Facility (GDF)." aka a nuclear waste dump. ! "A grassroots, environmental voluntary group based all around Carlingford Lough. Our aim is to Protect, Preserve & Promote Carlingford Lough." My note,... I wonder what,... if anything,... Arlene and her colleagues who are currently helping to govern Britain,... think about this proposal in the area that they're supposed to be trying to govern. ! Anyway,... what could the cause of any reasons for any objections realistically be ?!,... they're only some of the most scenically beautiful areas of the world. ! BTW,... I wonder where the other three sub regions are. ? The Falls, Shankill, and Derry perhaps. ?! Its just a non-starter IMHO. That P.C.Crowd-WD you could not be up to them! A man/woman in their own Country means nothing to them! "Northern Ireland tourism sites included in UK radioactive dump search"
"Concerned residents want the region completely ruled-out"
"Areas of Northern Ireland with rocks that could work for a nuclear facility"
"Northern Ireland should not be a dump for British nuclear waste !" “This council notes with great concern the conclusions made from the National Geological screening for a Geological Disposal Facility (GDF) by Radioactive Waste Management (RMW) which suggests that parts of Newry, Mourne and Down District and other areas in Northern Ireland might be suitable for a GDF. While Mid Ulster group Save Our Sperrins is urging voters to “add this to your list of questions and concerns when the canvassing teams knock your door." He said: “This announcement from the Government’s Radioactive Waste Management organisation that their investigations show that a GDF is possible in places like the Mourne mountains beggars belief." “Our areas of outstanding natural beauty and of significant environmental importance cannot become dumping grounds for British nuclear waste." “We have been subjected to years of abnormal radioactive levels given our proximity to Sellafield and this news that Government agencies have been poking around our Areas of Outstanding Natural Beauty to find holes for nuclear waste is beyond comprehension." A spokesperson for the firm said 45 regions of the UK are included in their search for a site, adding: “At this stage, no host site for a geological disposal facility has been identified and no region is being targeted over another." “Whilst the Northern Ireland Executive has previously supported geological disposal (in 2008 and 2014), any future policy decisions in relation to geological disposal in Northern Ireland remain a matter for the Northern Ireland Executive, which is currently suspended." “In the continued absence of the Executive, no further commitments regarding the disposal of Radioactive Waste in Northern Ireland (including Newry), can be given." 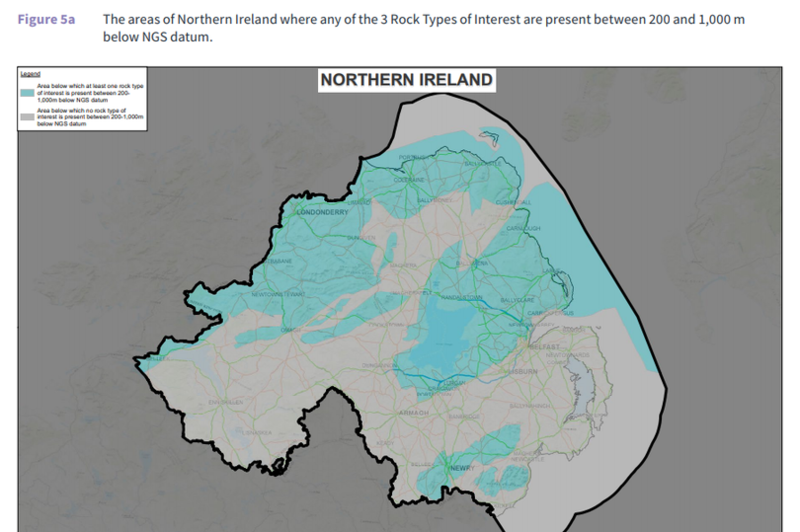 “There are no plans to site a Geological Disposal Facility (GDF) in Northern Ireland." 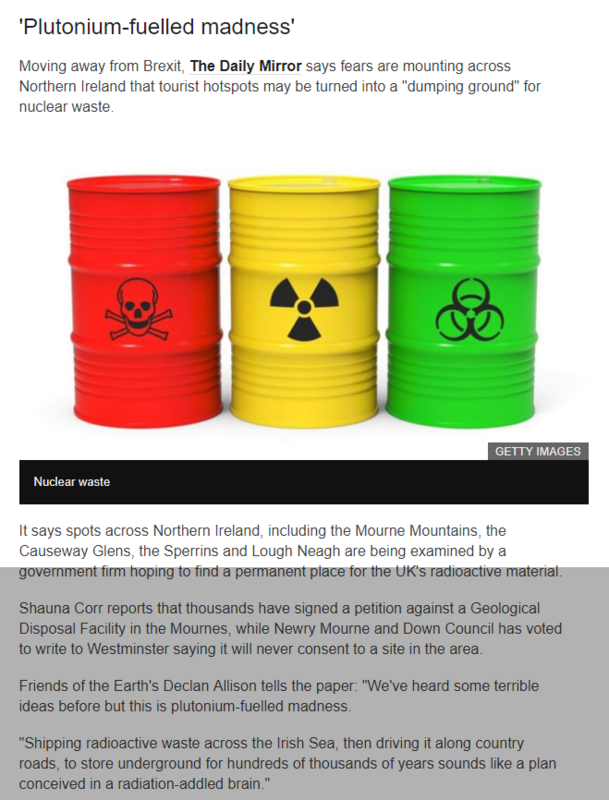 “Plans to dispose of nuclear waste in Northern Ireland should be dumped. Shipping radioactive waste across the Irish Sea, then driving it along narrow country roads, to then store it underground for hundreds of thousands of years sounds like a plan conceived in a radiation addled brain." “We’ve heard some terrible ideas before, but this is plutonium fuelled madness." “Northern Ireland is already in the grip of a systemic failure of environmental protection. The Environment Agency is under resourced and over-worked, and lacks the experience or competency to deal with nuclear waste." “Are we really to believe that NIEA can guarantee the safety of this dangerous waste for up to a million years ?" Why is Northern Ireland included in the search ? What is a Geological Disposal Facility ? Have any decisions been made ? Radioactive Waste Management (RWM) Ltd is responsible for developing the GDF. A spokesperson said 45 locations across England, Northern Ireland and Wales are being considered but “a community must be willing to host it” as the policy is consent based. No decisions can be taken without the Northern Ireland Executive in place, so NI plans have been suspended “for the time being”. My note,... Scotland isn't included, because their government has already refused them permission. 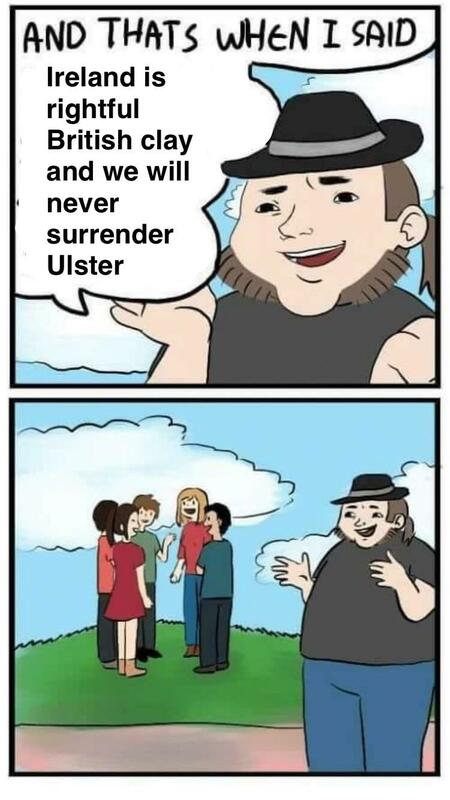 Bury it all under Stormont. We might as well find some use for the place. a bit `tongue in cheek`so to speak. worthy to cross its doors. IMHO of course as per usual. signatures, has now been signed by 14,360 people. Page created in 0.344 seconds with 16 queries.